Congratulations to Kristina McMorris! 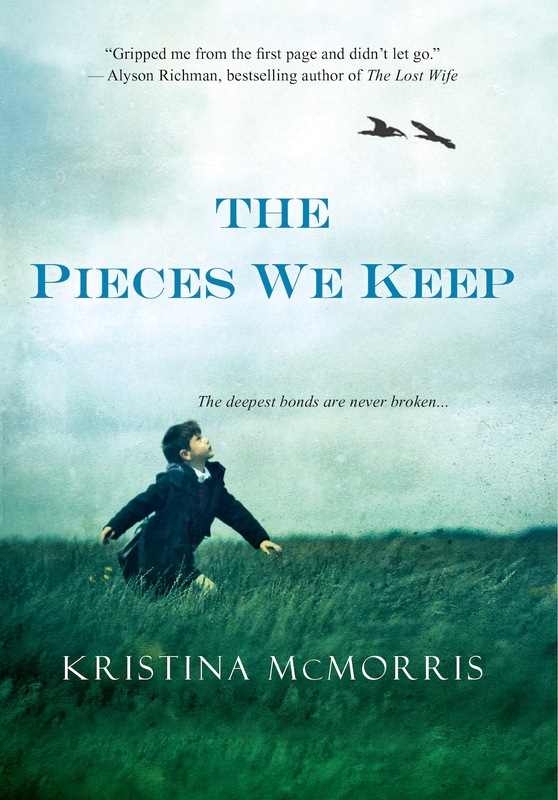 Her third novel, THE PIECES WE KEEP, is available today! Just in time for Thanksgivingukkah presents, and in plenty of time for Christmas giving! Lucky us! I love historical fiction and nothing makes me happier than when Kristina McMorris launches a new novel, especially when she’s here on WFW to share her insights on writing a dual timeline, why historical fiction is so appealing to readers, and how, as writers, we can work to avoid the dreaded (cue scary music) backstory dump. Don’t forget to watch the trailer for THE PIECES WE KEEP at the end of the interview. Not only does it offer insight into Kristina’s new novel, but it’s so fun to see and hear her speak (she’s so eloquent). 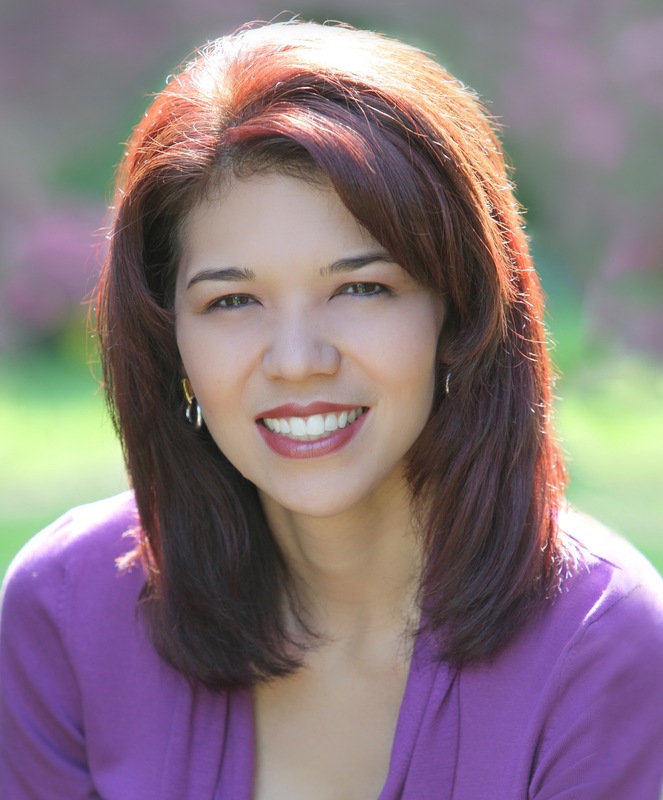 Please welcome Kristina McMorris to Women’s Fiction Writers! Amy: THE PIECES WE KEEP has a little boy, and his fears, as a driving force. As a mother, and one who dipped into your own life for inspiration, was this difficult to write? Kristina: For me, it was actually the opposite. Part of the inspiration behind the story even originated with my oldest son. When he was a toddler, he used to talk about a grandmother who didn’t exist. With this in mind, it was fairly easy for me to imagine what it would feel like to take the journey of my character, a mother who strives to makes sense of something she doesn’t quite understand. And I think most mothers can relate to the feeling of wanting to do everything possible to protect their child, and the frustration of being unable to find a solution for their challenges. Amy: You write in two time periods in this novel—now here’s the million dollar (that’s imaginary money, don’t get excited) question. Do you write one full timeline’s story and then the other and intertwine them? Or do you write it the way the reader reads it? Kristina: When I started the book, I had every intention of writing the historical storyline straight through and then going back to interweave the contemporary one. But after a few chapters, I quickly realized it just wasn’t going to work. The two timelines are so closely connected (even though, at first, it might not seem that way to the reader) that I knew major revisions would be inevitable if I didn’t alternate the time periods as I went along. So, ultimately the way the reader experiences the story is exactly how it played out as I typed. Amy: Dual timelines have become very popular in women’s fiction. Why do you think the combination of past and present works so well for readers? Kristina: As a reader, I think it’s fascinating to see how a past event can cause a ripple effect in the future. Through interwoven timelines, we’re able to witness how the act of one person even decades ago can unknowingly alter the course of another person’s life down the road. And by learning about others’ errors, we’re given the chance to avoid making the same mistakes. From a writing standpoint, however–especially when one of the timelines inherently has very high stakes, such as with WWII–I think the biggest challenge is to make sure the stakes are as equal as possible in both story lines. Otherwise you risk tempting the reader to skim the chapters that in comparison have a lower level of tension. Kristina: I know some authors in the genre are uncomfortable with the term, and I can certainly understand their reasoning. Personally (literary critics’ snubs aside), I don’t view it as an indicator of quality–or lack thereof–but more of a generalization to help identify the primary target audience. Granted, my view likely stems from a decade-long background of PR and marketing. Besides, the term seems to be utilized much more within the industry than among typical readers. When asked, “What do you write?”, I’ve often found that answering “women’s fiction” can leave the person confused, while something more specific (like “WWII love stories” or even “book club-type novels”) generally piques their interest, as it gives a clearer picture of my books. Kristina: I once heard that backstory should be treated like a mirror that has shattered into tiny shards, each of them sprinkled throughout a novel, versus grouped in a clunky “info dump.” When it comes to incorporating historical facts into a novel, I treat them the same way. I think it’s important to remember that story and character progression have to come first, in order to maintain good pacing and avoid creating a novel that reads like a textbook. Also, there have been many times I’ve stumbled upon an intriguing historical tidbit that I chose to incorporate into a story by making it active; for example, in my novel Bridge of Scarlet Leaves, rather than merely “telling” the reader how children of Japanese descent were taken from their American adoptive families, I allowed my protagonist to actually witness a family being forced to separate. It ended up being more powerful than a narrative mention and more natural than expository dialogue. Kristina McMorris is the recipient of more than twenty national literary awards. A host of weekly TV shows since age nine, including an Emmy® Award-winning program, she penned her debut novel, LETTERS FROM HOME (Kensington Books, Avon/HarperCollins UK), based on inspiration from her grandparents’ wartime courtship. This bestselling book was declared a must-read by Woman’s Day magazine and achieved additional acclaim as a Reader’s Digest Select Editions feature, a Doubleday/Literary Guild selection, and a 2011 Goodreads Choice Awards semifinalist for Best Historical Fiction. Kristina’s second novel, BRIDGE OF SCARLET LEAVES, was named a 2013 nominee for the prestigious RITA® Award and is frequently an official reading selection among book clubs, universities, and libraries throughout the country. Most recently, her novella, “The Christmas Collector,” appeared in the New York Times and USA Today bestselling anthology A WINTER WONDERLAND. Her novelette, “The Reunion,” will be featured in the forthcoming anthology titled GRAND CENTRAL (Berkley/Penguin, July 2014). THE PIECES WE KEEP is her third novel. So good to ‘see’ you here today, Kristina. I don’t read a lot of historical fiction – but your books are on ‘auto-buy’ at my house. Thanks so much for your riveting, sweeping books. They’re simply beautiful. Wow. I’m so honored to be an “auto-buy.” Thanks for your sweet words! I hope you enjoy my latest! Yes, what Laura said. And I love your titles! I really want to read this one! I like historical fiction in general and am working on a historical novel of my own (set in 1947–just after the war.) Love the title too! Beautiful book trailer. The Pieces We Keep is on my reading list! Yay! So glad you liked the trailer. (My 7yo was thrilled to have a cameo.) Hope you enjoy the read! What a great interview, Kristina and Amy! The book sounds so interesting, and I love your advice on weaving historical plots through contemporary ones. Great book trailer, too! Can’t wait to read it! Thank you, Andrea — for ALL of those wonderful compliments. You’ve totally made me smile. Hope you enjoy! Fascinating thoughts about interweaving two time sequences! Thank you Kristina and congratulations on producing such a rich body of work. Glad you’ve been rewarded! Thank you, Catherine. I appreciate your kind words! I love, love your latest release. My husband also loves it and I read aloud to him as long as he’s awake. Of course I can’t wait to read more of your creative use of dual storytelling with a parallel timeline – but it’s a joy to read it all over again when Tom is awake. Thank you for another wonderful read. Aww, that makes me so happy, Sheri. I’m thrilled you’re both enjoying the book! Thanks again for all your support.